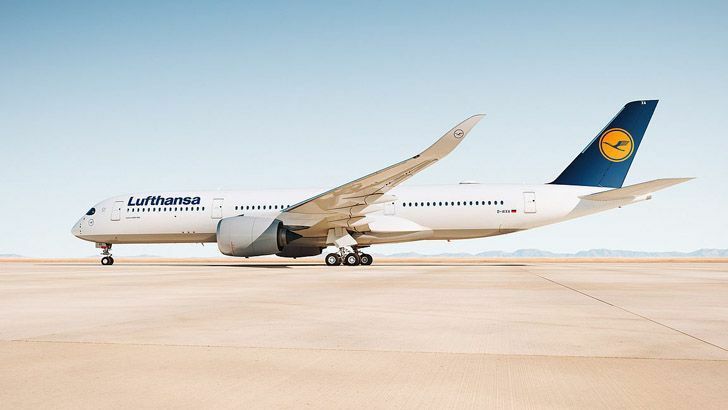 In March 2019, the Lufthansa Group airlines welcomed more than 11 million passengers. This shows an increase of 1.7% compared to the previous year’s month. The available seat kilometres were up 4.9% over the previous year, at the same time, sales increased by 4.1%. In addition as compared to March 2018, the seat load factor increased by 0.7 percentage points to 80.5%. This is partially due to the postponement of the Easter holidays, which fell into March last year. In the first quarter of 2019 as a whole, the airlines of the Lufthansa Group welcomed more than 29 million passengers, 3.1% more than in the first quarter of the previous year. At 77.9%, the seat load factor in the first quarter was on a par with the previous year. Cargo capacity in March was 10.5% up on the previous year, while the tonne-kilometres sold were 1.1% lower. This results in a load factor of 64.7%, which is 7.6 percentage points lower. In the first three months of 2019, freight capacity was increased by 8.6%. Sales fell by 3.0% in the same period. This results in a 7.5 percentage point lower cargo load factor. The network airlines Lufthansa, SWISS and Austrian Airlines carried a total of around 8.4 million passengers in March, 2.5% more than in the same month last year, although some of the Easter holidays last year were in March. In March, the number of seat-kilometres on offer was increased by 4.4% compared with the previous year. Sales rose by 3.2% in the same period. This reduced the seat load factor by 1.0 percentage points to 80.2%. In the first quarter of 2019 as whole, Network Airlines carried around 22 million passengers, 3.3% more than in the same period of the previous year. The seat load factor fell by 0.1 percentage points to 77.8% in this period. This is based on a 5.6% increase in the number of seats on offer and a 5.5% increase in sales. The strongest growth was recorded by the network airlines at the Vienna hub in March, with passenger growth of 7.0%. In Zurich, the number of passengers rose by 3.6% year-on-year in March, in Munich by 2.0% and in Frankfurt by 0.7%. The number of seat-kilometres also increased at different rates: in Zurich by 9.0%, in Munich by 8.9%, in Vienna by 2.2% and in Frankfurt by 0.9%. In the first quarter of 2019, the number of passengers rose by 7.3% in Vienna, 5.4% in Zurich, 1.9% in Munich and 1.7% in Frankfurt. In the same period, the number of flights increased by 11.0% in Munich, 9.6% in Zurich, 6.9% in Vienna and 1.5% in Frankfurt. Lufthansa German Airlines transported 5.8 million passengers in March, a 1.4% increase compared to the same month last year. A 3.3% increase in seat kilometres corresponds to a 1.8% increase in sales. The seat load factor fell by 1.2 percentage points to 80.3%. In the first three months of 2019 Lufthansa was able to increase the number of passengers carried by 2.0% to around 15 million. The seat load factor fell by 0.5 percentage points to 77.6% due to a 4.3% increase in capacity and a 3.6% increase in sales. Eurowings (including Brussels Airlines) carried around 2.9 million passengers in March. Among this total, 2.6 million passengers were on short-haul flights and 295,000 flew on long-haul flights. This corresponds to a reduction of 2.1% on short-haul routes and an increase of 15.3% on long-haul routes compared with the previous year. A 7.3% increase in capacity in March was offset by an 8.2% increase in sales, resulting in an 82.1% increase in seat load factor of 0.7 percentage points. On the short-haul segment, the number of seat kilometres offered was increased by 0.7% in March, while the number of seat kilometres sold rose by 2.5% over the same period. As a result, the seat load factor on these flights was 1.4 percentage points higher than the 80.7% recorded in March 2018. On long-haul flights, the seat load factor fell by 0.9 percentage points to 84.1% over the same period. The 19.1% increase in capacity was offset by a 17.8% increase in sales. In the first quarter of 2019 as a whole, Eurowings welcomed around 7.5 million passengers on board, 2.7% more than in the same period last year. The seat load factor rose by 0.2 percentage points to 78.3% in the first three months. During this period, the seat load factor increased by 9.6% and sales by 9.6%.